1970s, 1975, apple, keyboard, tools. 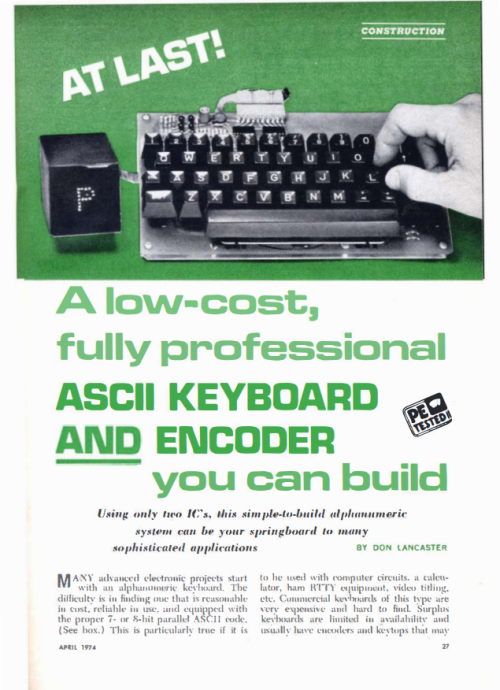 Article in Popular Electronics 1974 to build an ASCII-compatible keyboard for 40 USD. Posted on archive.org as Apple documentation, so this was presumably used for the Apple I. 2010s, germany, jewelry, keyboard, typewriter. Computer keyboard and typewriter jewelry by Tastaturschmuck. Computer keyboard and typewriter jewelry by Tastaturschmuck, who patented this in Germany. 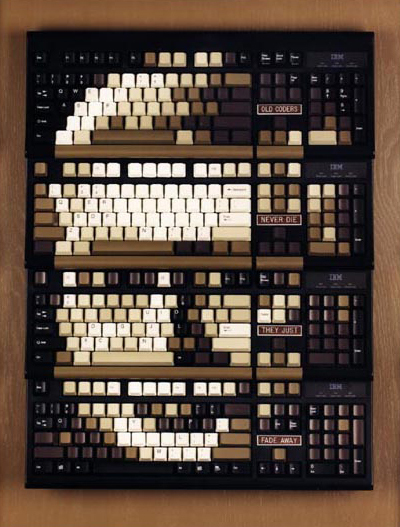 Computer keyboard and typewriter rings by Tastaturschmuck, who’s been doing this for a long time. 1890, 1890s, keyboard, monotype, prints, tools. The Monotype (1890) that seems to have been used for text graphics. 2010s, 2015, animation, HeK, IMHO, keyboard, LISTE, PEBKAC, petscii, raquel meyers, switzerland. ‘Fingers of Doom’ by Raquel Meyers (2015). 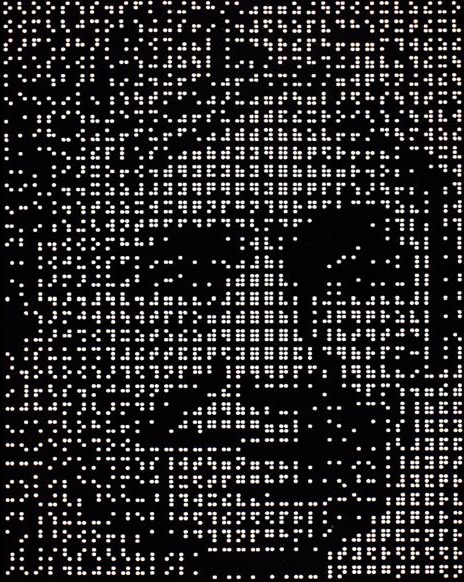 Type in animation on C64. Music by Dan Brännvall & coding by Johan Kotlinski. Showed at HeK@Liste Art Fair – PEBKAC IMHO. These are the keyboard layouts of the APL programming language. It is symbolical rather than lexical, ie: instead of words, you use symbols. Based on EBCDIC, APL had its own set of symbols which in the 1960s was tricky for many screens, printers and platforms to deal with. Nowadays Unicode mostly supports it. 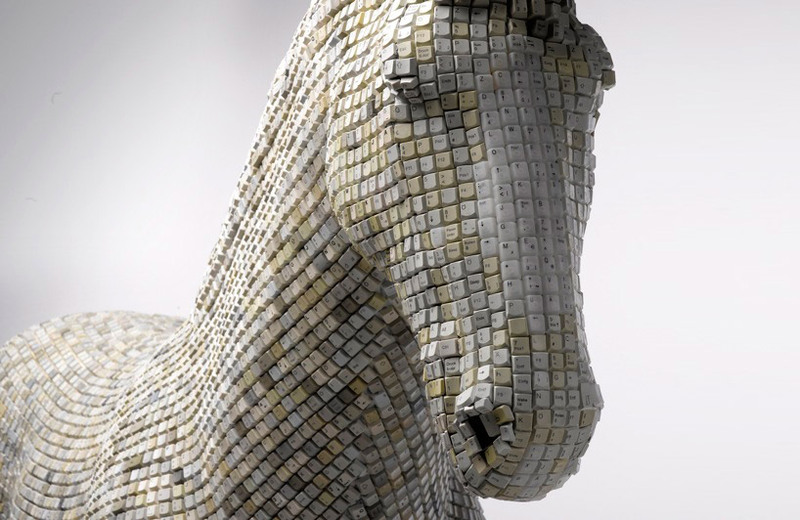 A keyboard horse by Babis Cloud. It’s called hedonIsM(y) trojaner, via. 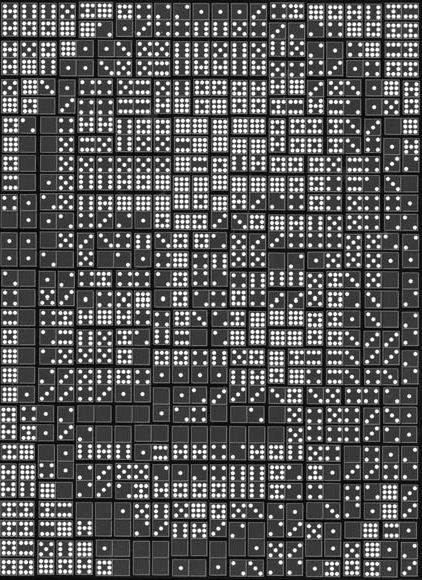 1990s, braille, dice, keyboard, mosaic.